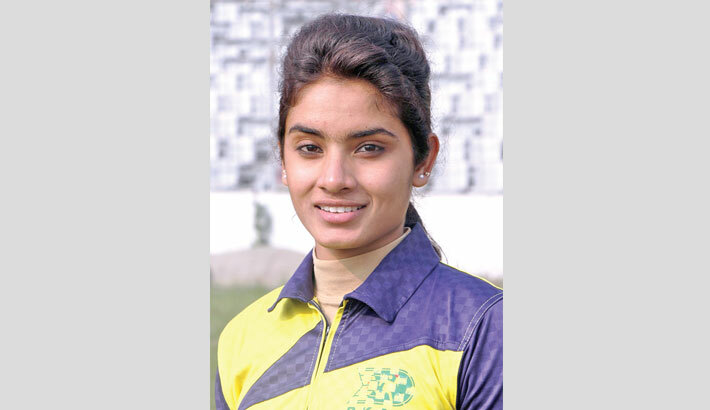 Disha Sultana from Manikganj, registered star performance in athletics of Dhaka division during the third day of the ongoing inaugural Bangladesh Youth Games divisional leg events on Wednesday. Disha and Jannatul from Tangail impressed everyone in Dhaka division’s event. Disha was the best in 100 and 200 metre sprints while he captured first place in long-jump discipline. Jannatul became the headline by taking first place in high-jump while he earned silver medal in 200 metre sprint. In the day other notable events, Tangail district upset Dhaka district in men’s football final. Tangail youths clinched the football title by beating favourite Dhaka by 2-1 goals. On the other hand, young swimmer Omar Ali from Patuakhali district came to attention in Barisal division swimming by winning in three disciplines. He stole the show in men’s 100 metre free style, 50 metre breaststroke and 100 metre breaststroke events.